Viknesh Vijayenthiran June 16, 2014 Comment Now! 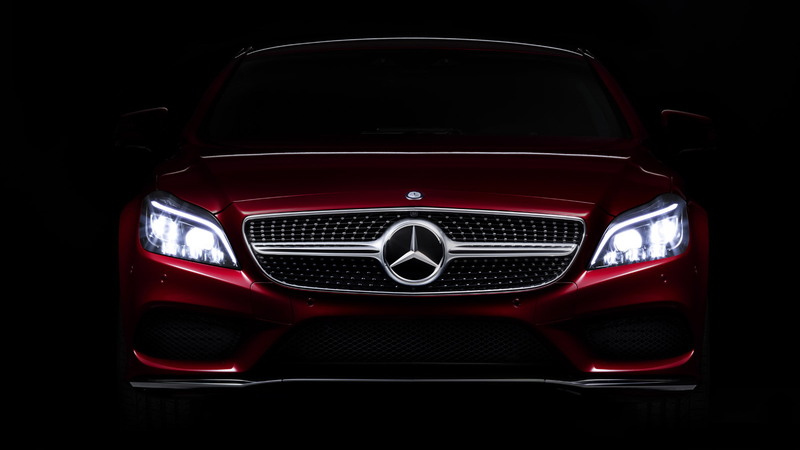 Mercedes-Benz is working on an updated version of its CLS-Class for the 2015 model year and has confirmed today that the car will feature the automaker’s new MULTIBEAM LED headlights. 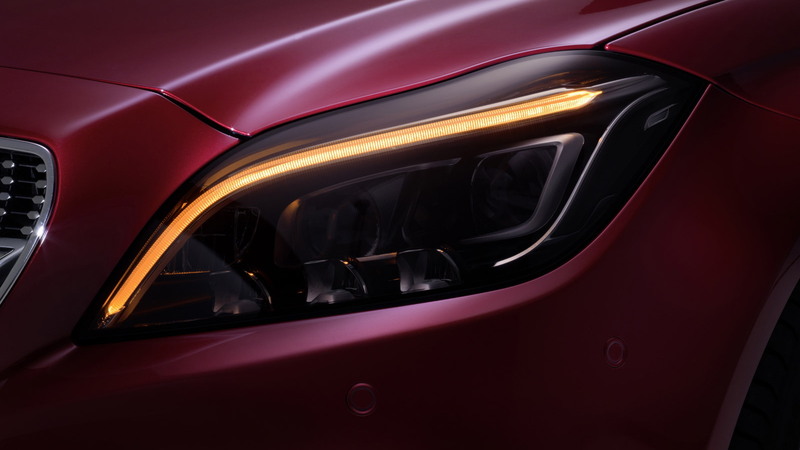 The technology is similar to Audi’s Matrix LED headlights in that it uses multiple LEDs to enable high-precision lighting of the car’s high beam, so that it can be controlled in a way that it doesn’t bother other drivers. The result is that cars equipped with the technology can safely be driven with the high-beams left switched on. 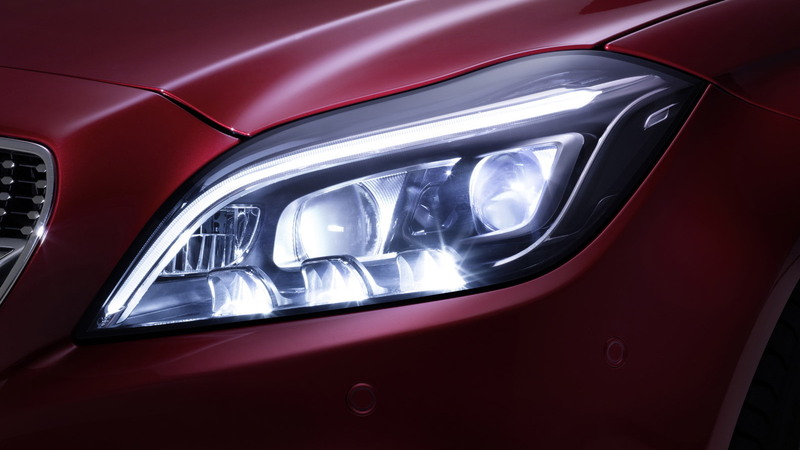 Unfortunately, the MULTIBEAM LED headlights are unlikely to be offered on 2015 CLS-Class models sold in the U.S. because of rules here that state headlights need separate high- and low-beam modes. The case is the same for Audi’s Matrix LED headlights, which aren’t offered locally. 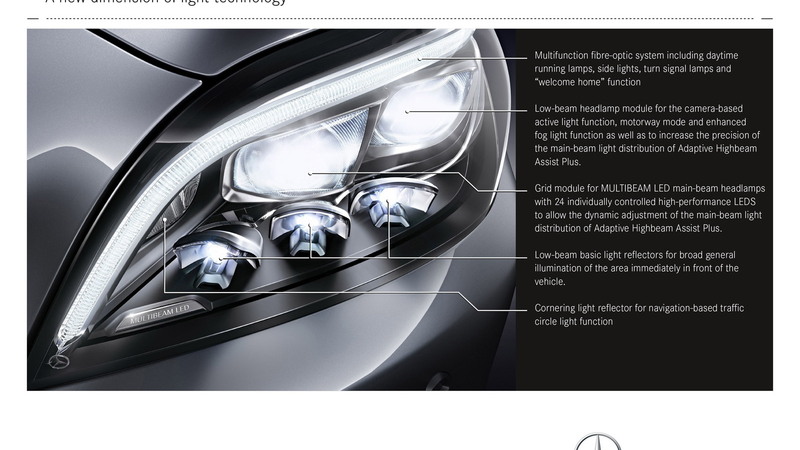 But what exactly are Mercedes’s new MULTIBEAM LED headlights? 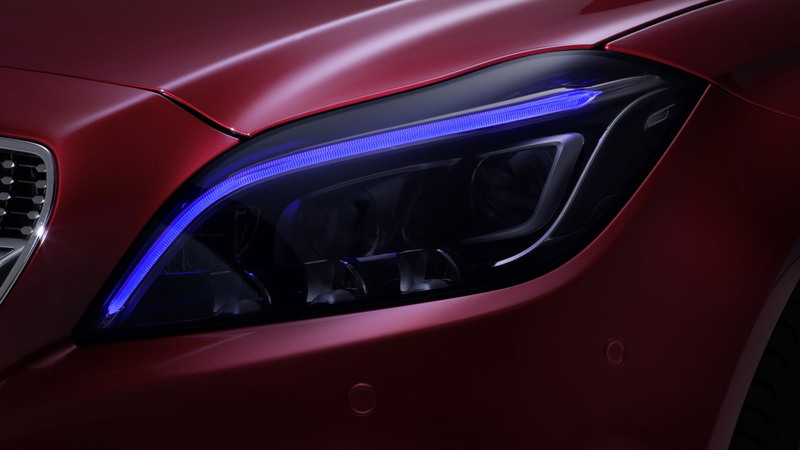 They feature special LED modules, each with 24 individually-controlled LEDs, that can automatically illuminate a road with precision-controlled distribution of a high-beam’s light path—without dazzling other road users. A camera positioned behind the windscreen delivers the information with which four control units adjust the ideal light pattern 100 times per second. If oncoming traffic or vehicles in front are present, the headlights mechanically masks them out of the light path of the main beam so that the drivers are not dazzled. Each MULTIBEAM LED headlamp also contains a further module for the low-beam mode which is equipped with four LEDs. If the camera detects a bend coming up, it can direct the lights to swivel outward by as much as twelve degrees to light up a bend before the driver has even turned the wheel. This allows the driver to identify dangers earlier when entering. There is also a navigation-based mode for roundabouts. This activates the cornering light function to the left and right before entering the roundabout to ensure maximum visibility at an early stage. The 2015 Mercedes-Benz CLS-Class is expected to be revealed in the coming months. In addition to the new headlight technology and some styling tweaks, the vehicle is expected to feature an updated powertrain lineup and Mercedes’ new 9G-TRONIC nine-speed automatic transmission.